In 1993, hardly anybody had heard the word internet and the iPhone was introduced as late as 2007. Think of the explosion and disruption that happened over the following decade. Think of how our way of life was completely changed by this 'internet' thing. Imagine what it could mean if blockchain is the next internet. For three consecutive years, technology has been a key driver behind the opportunities DNV GL has identified in our annual Global Opportunity reports together with our partners UN Global Compact and the think-thank Monday Morning Global Institute. This year, we are addressing the major global challenge of cybercrime; a risk that solely exists in the digital sphere. In an interconnected world with increasing cyber dependency, the risk of online crime has risen dramatically. UN Sustainable Development Goal 9 points to safe and secure digital infrastructure as a crucial driver of economic growth and development. It is still hard to grasp the impact blockchain will have. But soon, for most of us, we won't need to struggle to understand the technology, just as we didn't all have to know about TCP/IP and HTML once the internet took flight. As the blockchain applications start appearing, we will get it. The future electricity distribution system will be made up of billions of endpoints interacting with each other -- microgrids, solar, smart appliances, sensors and energy management software. It will be important to create a secure system that can verify instantaneous, autonomous transactions across these nodes as market conditions change. 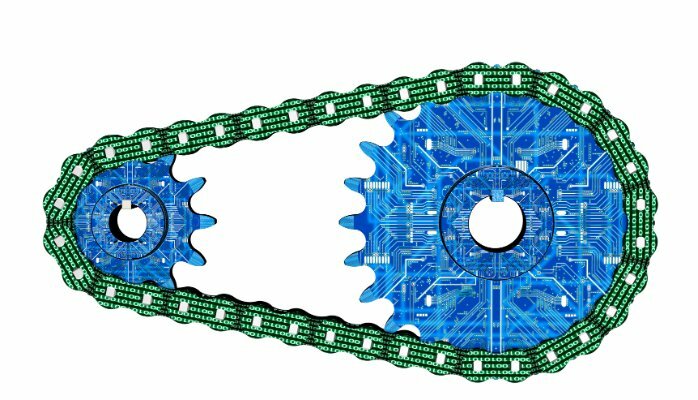 Blockchain technology has the potential to make distributed grid management easier through "smart contracts". Smart contracts tell the system which transactions should be made at what time, following clearly defined rules for energy flows and storage to balance supply and demand. Blockchain technology could also have a direct impact on grid management and storage, and play a central role in the rise of so-called "virtual power plants" - energy-generating resources connected across a smart grid but that aren't necessarily concentrated in one central location. And, of course, blockchain could play an important role in the remuneration of the participants in these virtual power plants.